A new theory has been proposed for the evolution of the human brain: Homo sapiens developed rounder skulls and grew bigger parietal cortexes than Neanderthals — the region of the brain that integrates visual imagery and motor coordination — because of an evolutionary arms race with increasingly wary prey. Neanderthals had large brains and made complex tools but never demonstrated the ability to draw recognizable images, unlike early modern humans who created vivid renderings of animals and other figures on rocks and cave walls. That artistic gap may be due to differences in the way they hunted, suggests an expert on predator-prey relations and their impacts on the evolution of behavior. Richard Coss, a professor emeritus of psychology at the University of California-Davis, says the hand-eye coordination involved in both hunting with throwing spears and drawing representational art could be one factor explaining why modern humans became smarter than Neanderthals. In the captivating video above, National Geographic experts suggest that Neanderthals were capable of extraordinary artistic expression contrary to Coss's theory. Some anthropologists have suggested that throwing spears from a safe distance made hunting large game less dangerous, he said. But until now, "No explanation has been given for why large animals, such as hippos and Cape buffalo, are so dangerous to humans," he said. "Other nonthreatening species foraging near these animals do not trigger alert or aggressive behavior like humans do. Coss' paper grew out of a 2015 study in which he and a former graduate student reported that zebras living near human settlements could not be approached as closely before fleeing as wild horses when they saw a human approaching on foot — staying just outside the effective range of poisoned arrows used by African hunters for at least 24,000 years. 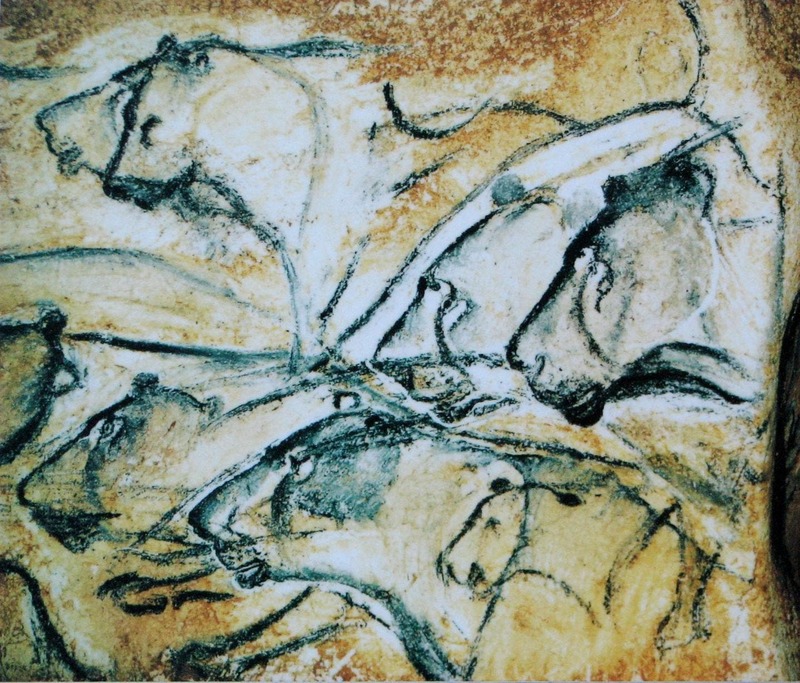 Replica of drawing of lions painted in the Chauvet Cave at the top of the page has been identified as created by early modern humans.